This brand new event is an opportunity for open wheel racers from around the world to experience what it is like to race at the famed Indianapolis Motor Speedway. 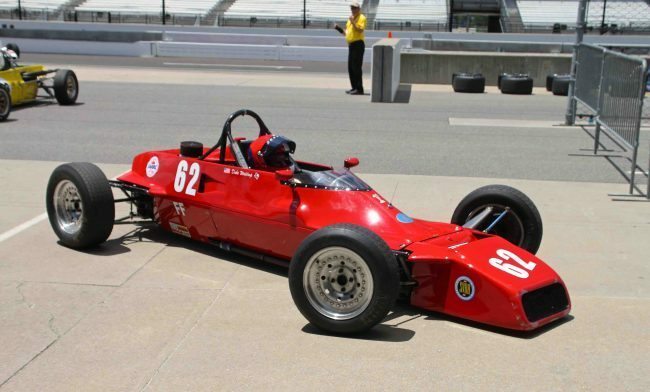 The SVRA Open Wheel World Challenge pays homage to the 50th anniversary of Formula Ford racing and all of the great drivers who started their racing careers in them. This inaugural event could be the largest gathering of open wheel competition cars ever assembled. In addition to Formula Ford, any open wheel car, including Formula One, Formula 5000, Indy cars, Indy Lights, Formula Vee, and Formula Junior is invited. Specific race groups will be established that combine cars of similar speed and will focus on rules for Monoposto, FIA, and SCCA race cars. The open wheel weekend also serves as a precursor to the Brickyard Vintage Racing Invitational, happening the very next weekend, so it’s a great way for open wheel racers to get a ton of track time on a legendary track. Visit www.svra.com for full details.